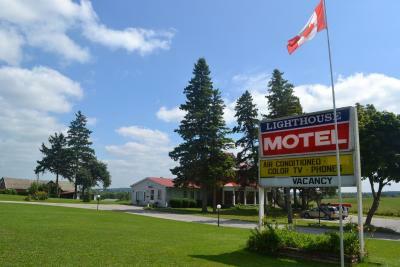 Lock in a great price for Lighthouse Motel - rated 8.7 by recent guests. The room was clean and quiet at night except for the heating/air conditioning system which was fairly loud and kept coming on every couple of minutes. We turned it off before going to bed and then on again in the morning. The temperature in the room at night stayed comfortable. I don't think you could have done this had it been the middle of summer or winter. Lots of hot water for showering in the morning. Friendly check-in staff. The service was fantastic and the rooms were very clean. It felt like home; very nice place to stay! The bed was very comfy. It was very basic and not exactly like it is listed . we expected it to be better than it was for the money!!!! Breakfast at MELS DINNER 1mile away. We would RATE IT # ONE. Great food Great Service Clean Place. This general area was a pleasure to visit. We will be back. Very friendly greeting and room was spotless. Overall, this was a great spot for us. We will definitely book here again next year!! 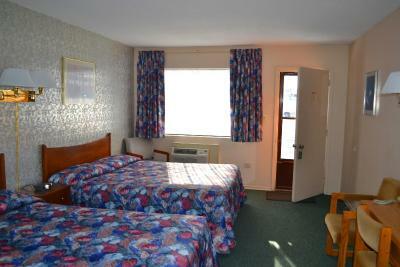 Keep in mind it is a motel so set up your expectations accordingly. It is a family ran business. 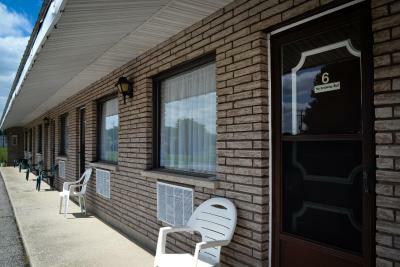 Property is very clean comparing to other motels I have been to. There is area with picknik tables, it was nice to have breakfast there. Lighthouse Motel is located within 350 yards from Saugeen River, in Walkerton. It offers a 24-hour front desk and free Wi-Fi access. A snowmobile trail can be found within 550 yards. 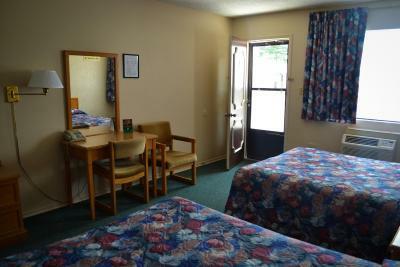 Rooms here are 100% non-smoking and provide cable TV. Air conditioning and a seating area are also featured. Toiletries can be found in the bathroom. 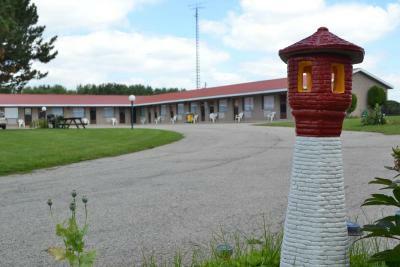 Lighthouse Motel provides on-site parking at no additional cost. Walkerton Golf and Curling Club is at a distance of 3.1 miles. 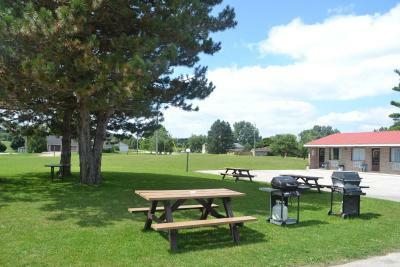 This property also has one of the best-rated locations in Walkerton! Guests are happier about it compared to other properties in the area. 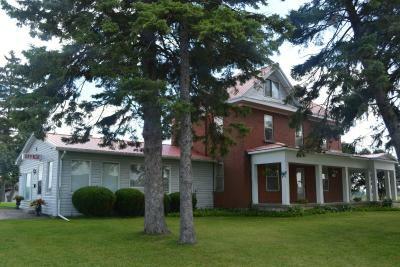 This property is also rated for the best value in Walkerton! Guests are getting more for their money when compared to other properties in this city. 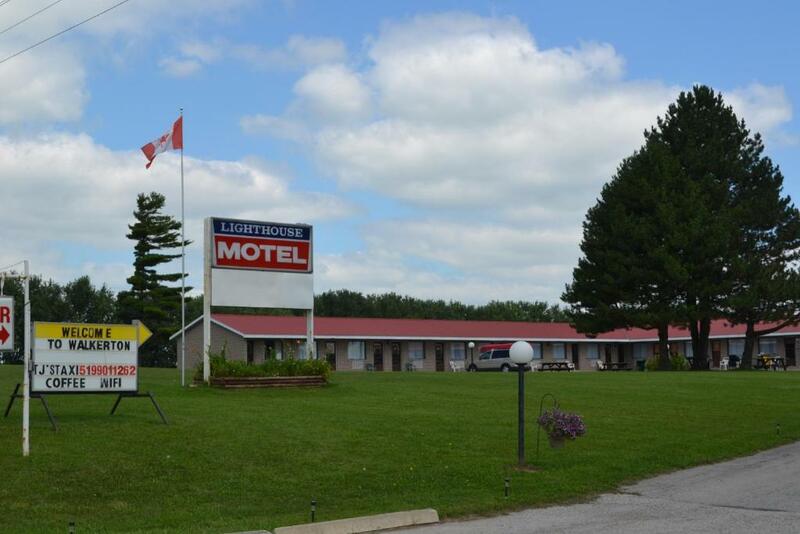 Lighthouse Motel has been welcoming Booking.com guests since 10 Mar 2014. 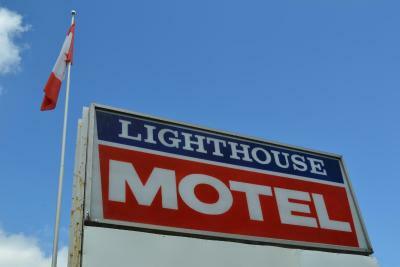 When would you like to stay at Lighthouse Motel? 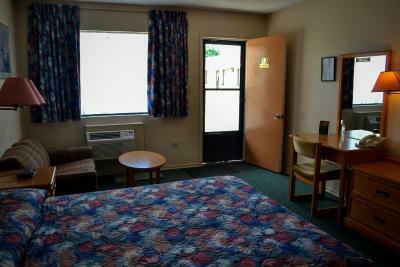 This air-conditioned room offers a TV with satellite and cable channels. Wi-Fi is free. House rules Lighthouse Motel takes special requests - add in the next step! 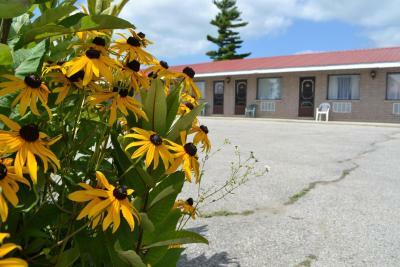 Lighthouse Motel accepts these cards and reserves the right to temporarily hold an amount prior to arrival. The pillows are too thin and soft for my liking. We found the temperature hard to regulate at times. The ability to bring pets is key for us. There was a perfume smell, probably something they use for cleaning, but it was bearable for the time we were there. I had just wished that there was a coffee pot or something that you could make a coffee or tea in the room and not have to disturb the office. The room had a mild smell when we got there. The fan in the washroom was broken. We had to keep the back window open the whole time. The toilet had a steady leak so we kept a towel on the floor to contain it. 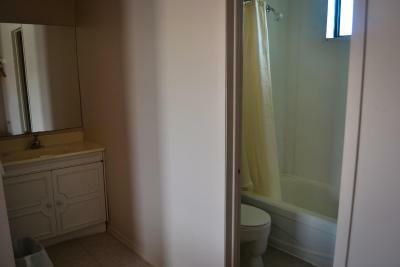 Shower and toilet were in separate tiny room from the sink. Unfortunately there wasn't a fan in that room so it steamed up after a shower. Couldn't stay in there long. There is a small window though. The fridge did not keep our food items as cold as it probably should have. We don't typically crank to max but perhaps that would have done the trick. Comfy bed. Lots of counter space around bathroom sink. 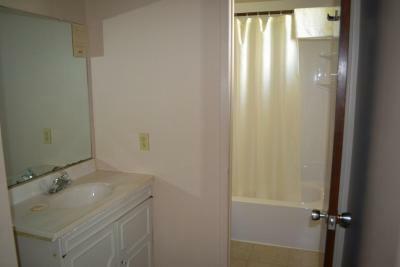 Clean room and bathroom area and the staff was very welcoming. 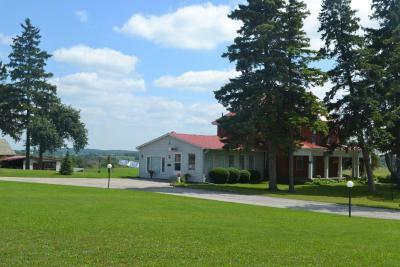 Beautiful farmland views behind the property. Clean rooms, friendly staff, & affordable! Needed a place to stay while at a wedding in the area. Was the perfect choice. room was a little outdated. the air conditioner was noisy, but know they quite often are in older motels my bedding was a little worn but...would definitely go back!!! parking is not marked, so people just park in front of your room. 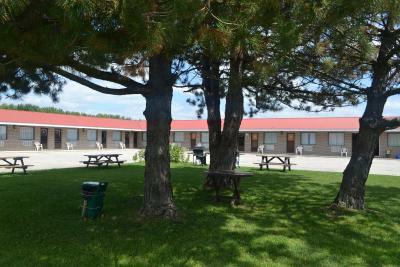 Only hotel available close to Sauble Falls which was 45 minutes away...this due to Highland Games in Kinkardine. Beautiful countryside location just outside of Walkerton. Very pretty!